November 1908. 25 h.p. detail. 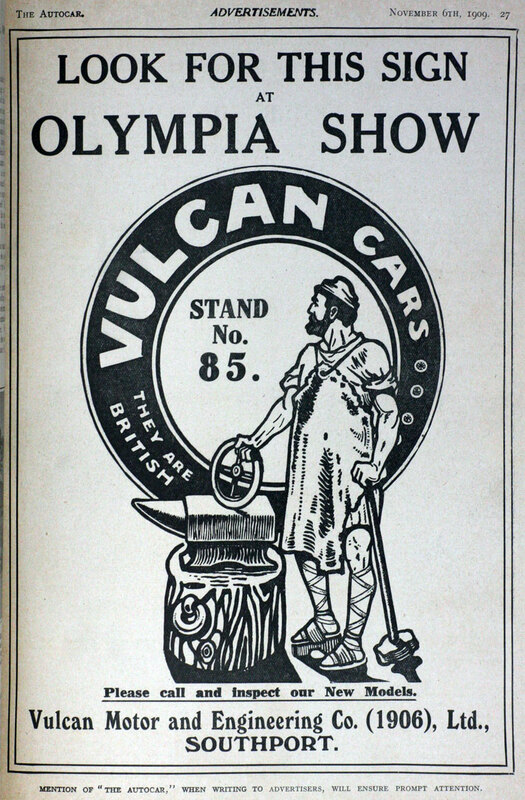 Vulcan Motor and Engineering Co of Crossens, Southport made cars from 1902 until 1928 and commercial vehicles until 1953. 1902 Lease the old drill hall, Southport. 1905 The company moved from Yellow House Lane to Hawesside Street both in Southport. 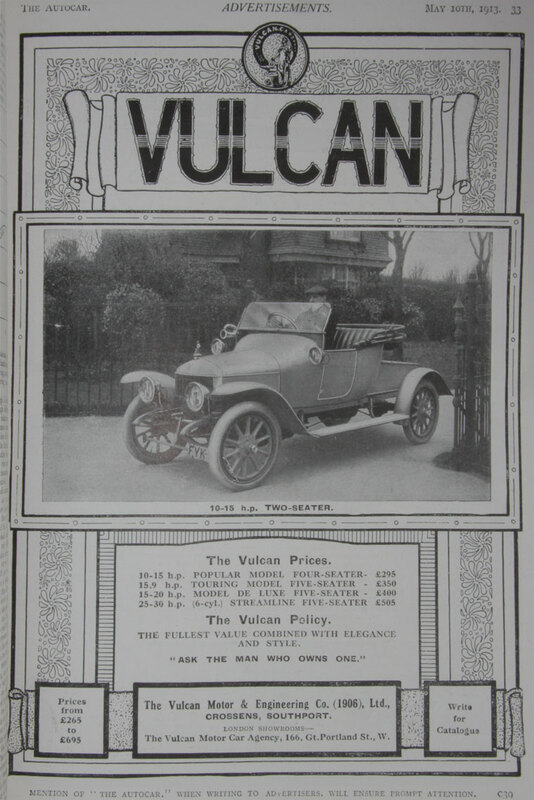 1906 A van version of the twin with large 4.8 litre 6 cylinder models and a move to even larger premises at Crossens, Southport with a change of company name to Vulcan Motor and Engineering. 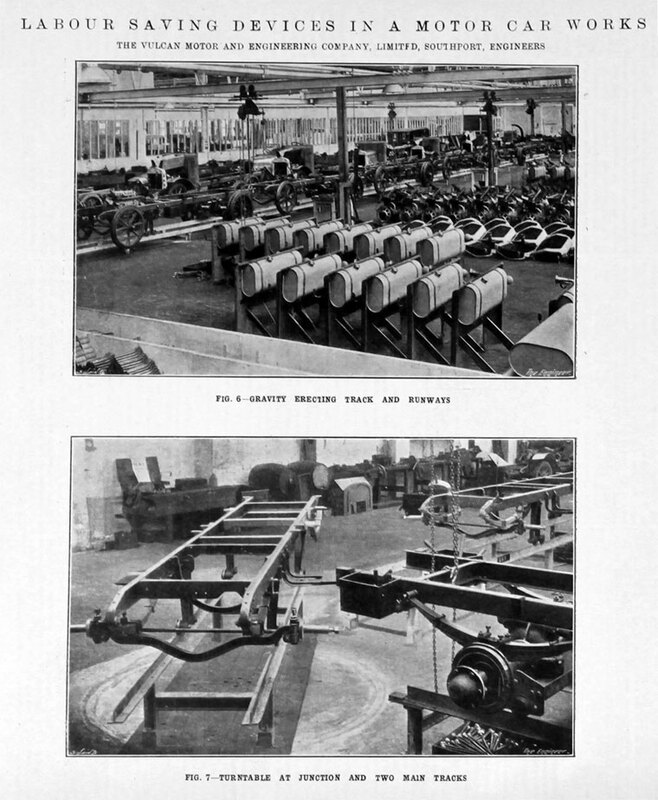 1907 Proposal to reconstruct the company. Thomas Hampson is Chairman and the registered office is Hawesside-street, Southport. 1908 January. 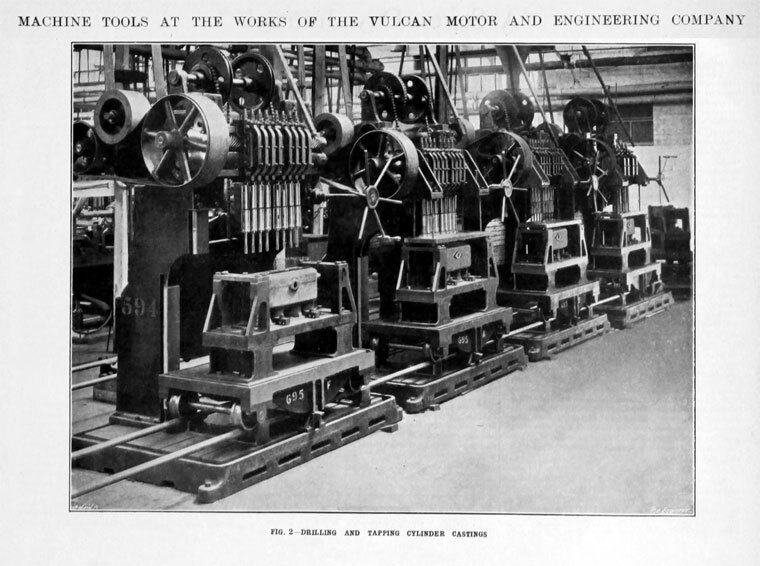 First AGM of Vulcan Motor and Engineering Co (1906) held with Walter Hamer as chairman. Company hampered by lack of room in Hawesside street. They have greatly improved their 14-hp car. 1913 June. Increase of capital from £75,000 to £150,000. 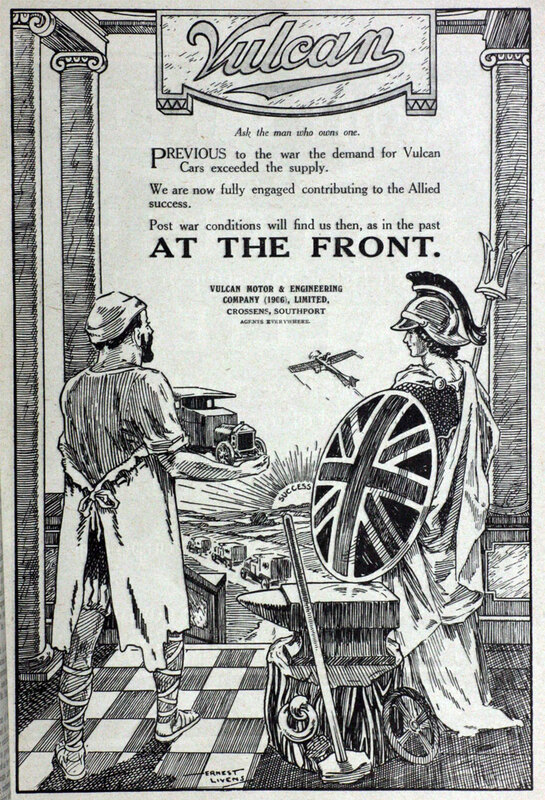 At the outbreak of World War I the ranges consisted of the 2.4 litre four-cylinder 10/15, the 2.6 litre 15.9, the 3 litre 15/20 and the last of the old sixes, the 25/30. As a sign of things to come a 30 cwt truck was also offered. During the war the factory concentrated on munitions. 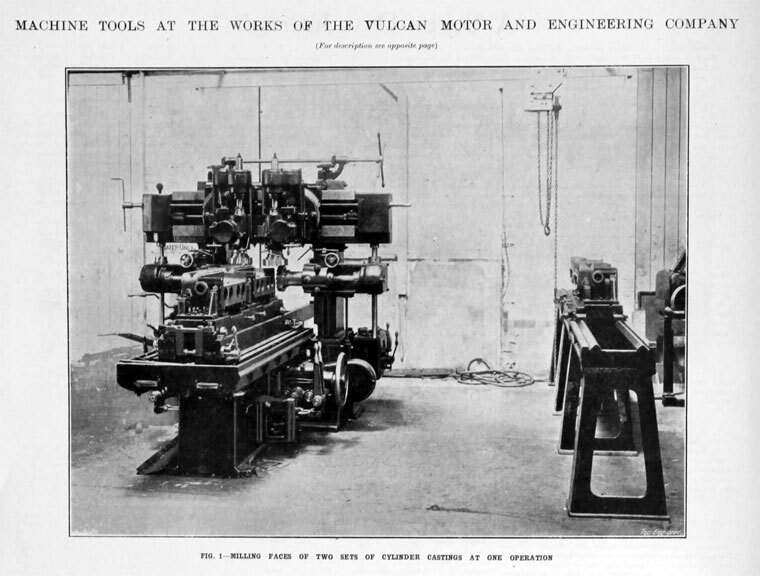 In 1916 the Hampson brothers left the company and it was reformed as Vulcan Motor Engineering (1916) under the control of C. B. Wardman. 1918 the company bought Southport F.C. 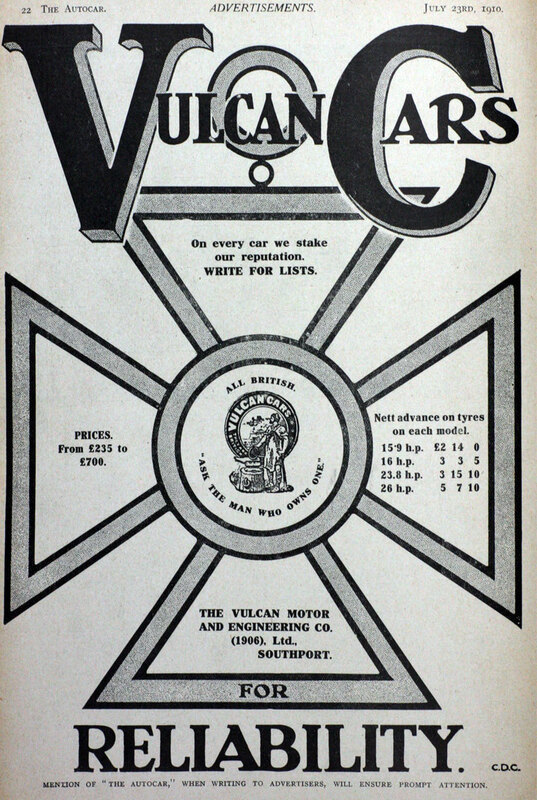 which was renamed Southport Vulcan - becoming the first club to take a sponsor's name. 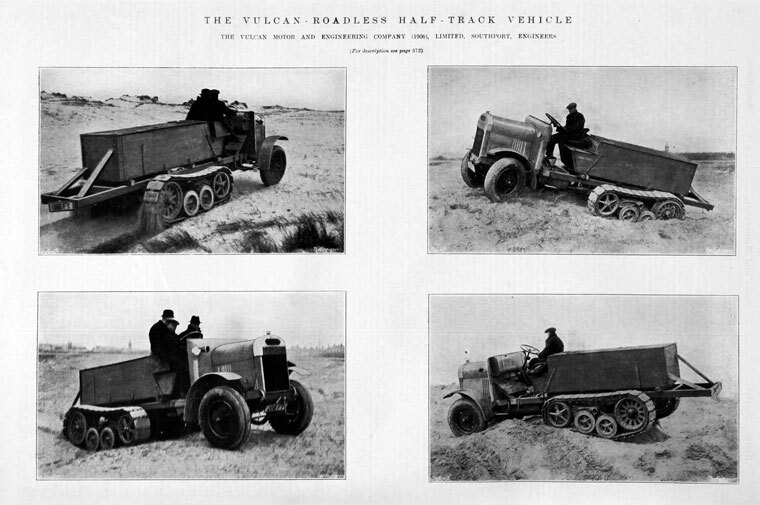 1919 Harper Bean acquired 75% of the company under a complex cash and shares deal and went into the British Motor Trading Corporation with the intention that Vulcan be responsible for commercial vehicles, however car production continued. 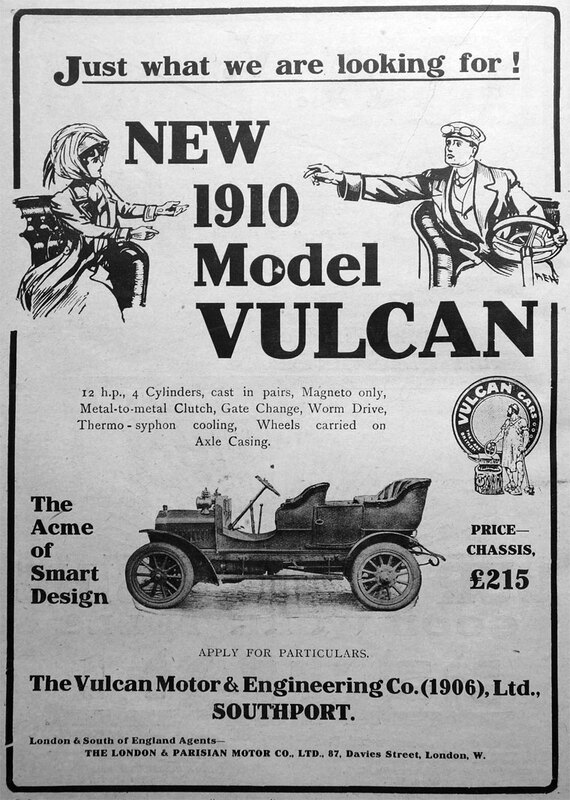 1919 Harper Bean was formed as a public company to bring together a number of interests in car manufacturing, including 60 percent of the shares in Vulcan Motor and Engineering Co .
After the war the first new launch was the 16 with 2.6 litre Dorman engine. 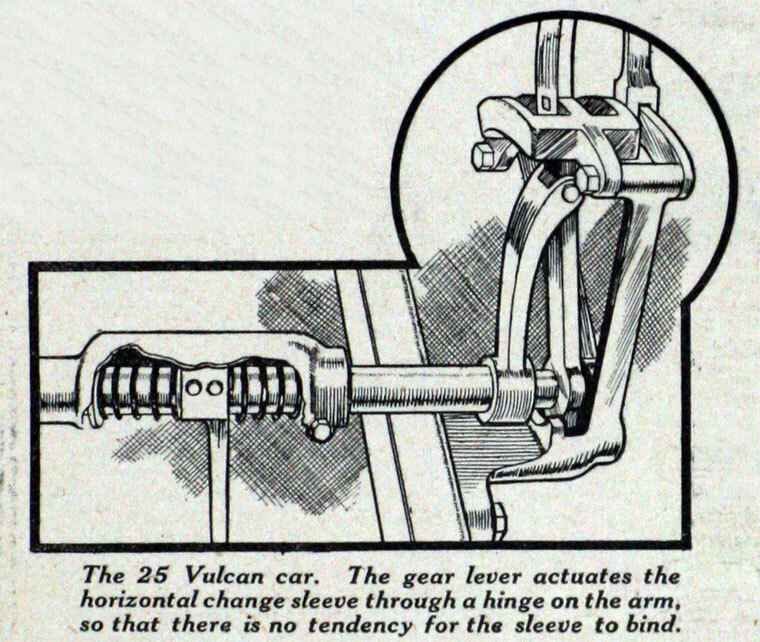 The cars now had a flat radiator replacing the pre-war "bullnose" type. 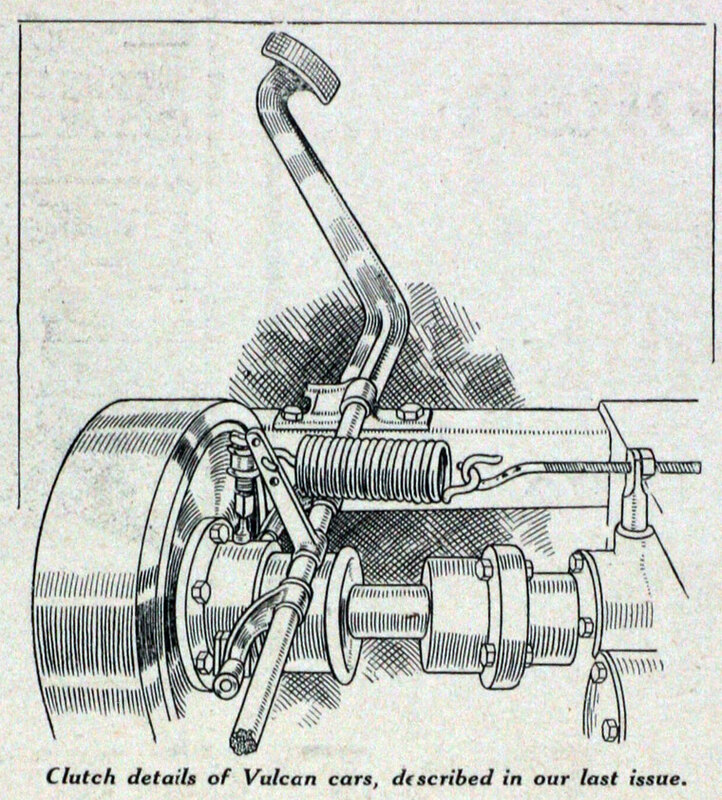 There was also a nominal 12 model which became the main product between 1920 and 1927 available with a range of engines from Dorman (1.8 litre), Meadows (1.5 litre), and British Anzani (1.5 litre). The model was also sold as the Lea-Francis Kirkstone as from 1922 the companies shared some manufacturing and a dealer network. 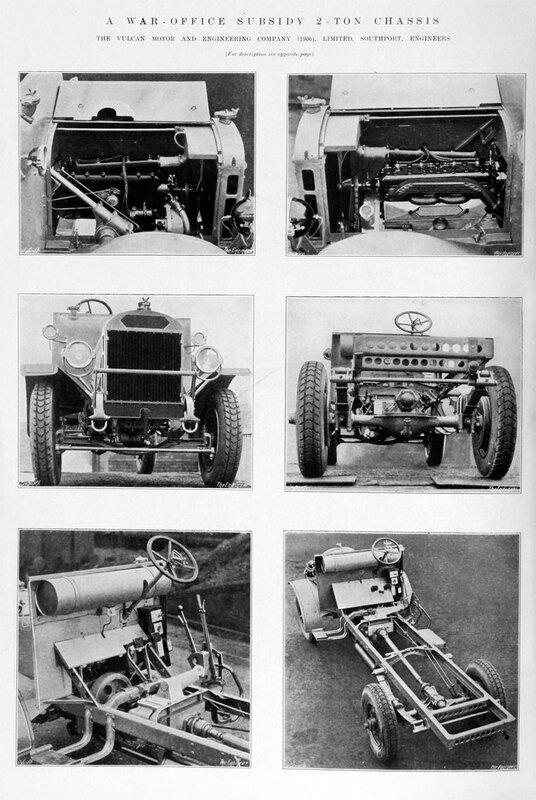 The 20 available from 1920 to 1922 with 3.3 litre Vulcan engine and from 1923 to 1925 with 3.7 litres shared mechanical components with the 1 1/2 and 2 ton trucks. 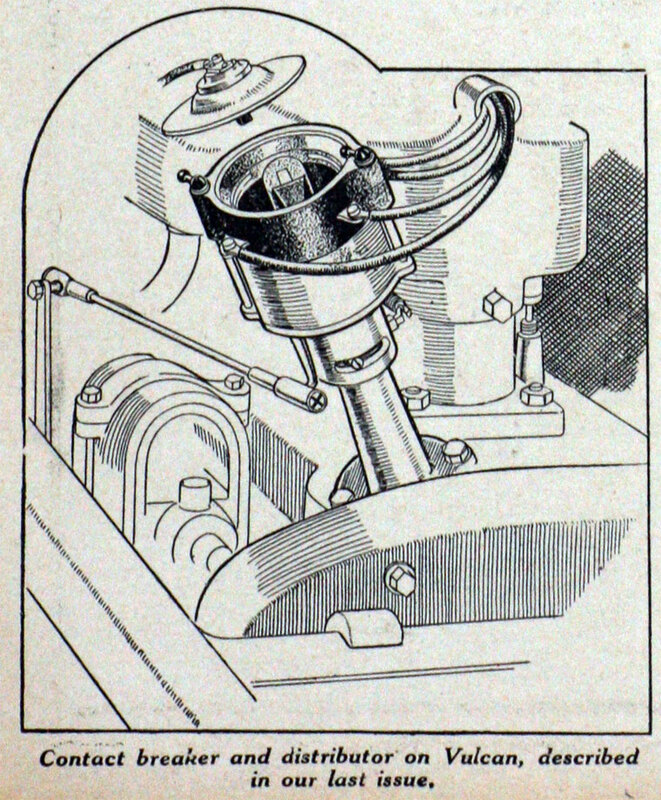 The final car was the 14/40 (1927-28) and 16/60 (1928-29) with their own design twin camshaft six of 1.7 and 2 litres. 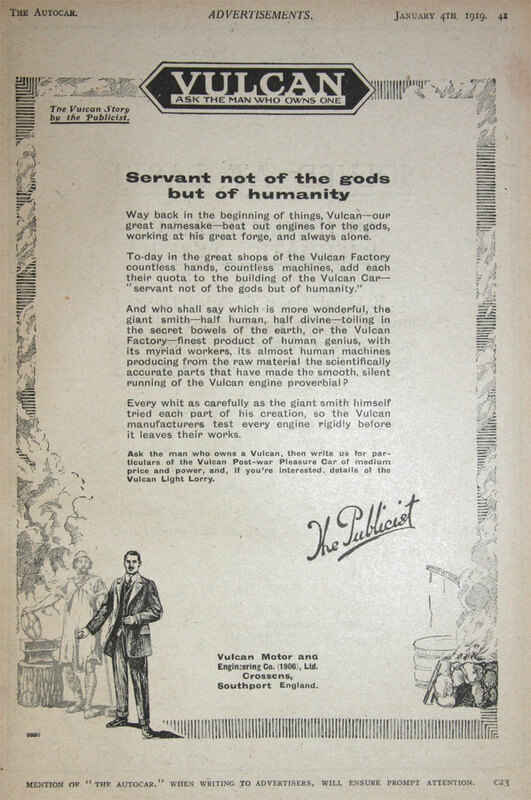 1922 Petition for the company to be wound up. 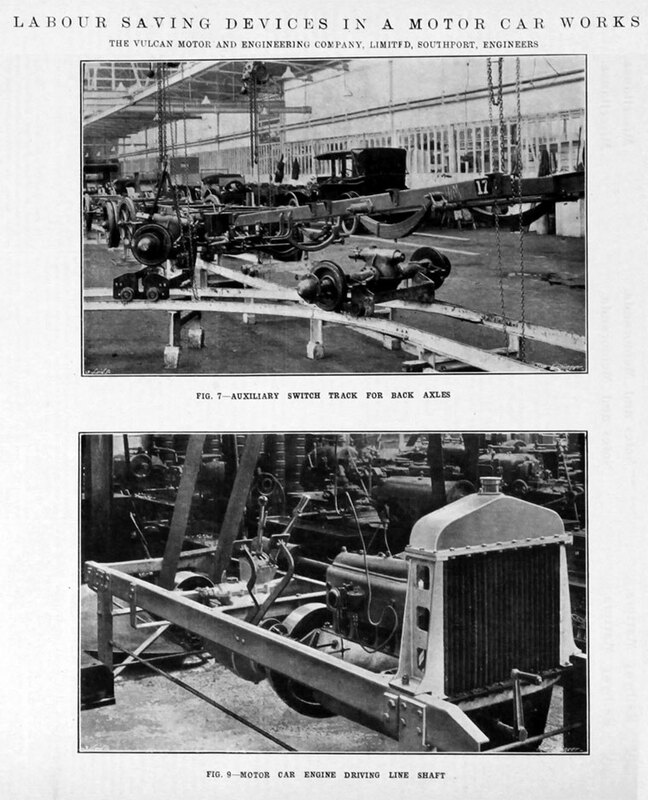 1922 twenty-seater buses were introduced on the two ton chassis; trucks were also produced. Many of the trucks were aimed at the municipal market - road sweepers and refuse trucks sold well. 1928 Financial problems; C. B. Wardman resigned and, officially, no more cars came from Southport but some badged as Lea-Francis may have been made. 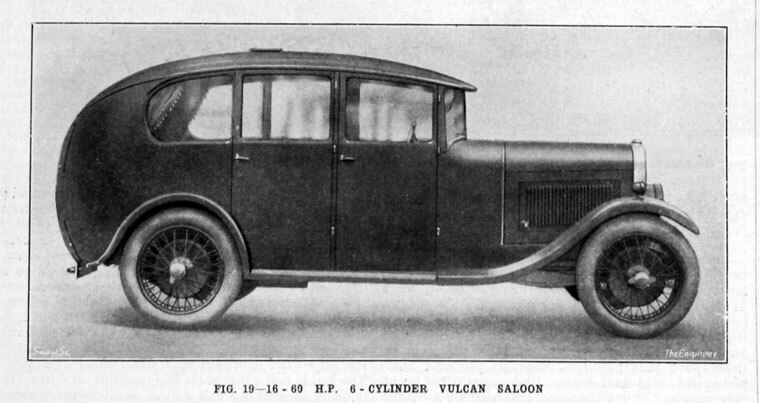 1928 A 6.6 litre Vulcan-engined 32-seat Brisbane was introduced, and the Emperor double decker in 1930. From 1930 production was solely of trucks and buses. 1931 the company went into receivership but the receiver managed to keep production going until 1937. 1950 Tilling-Stevens was taken over by the Rootes Group and a new 7 tonner appeared at that year's Commercial Motor Show in London. 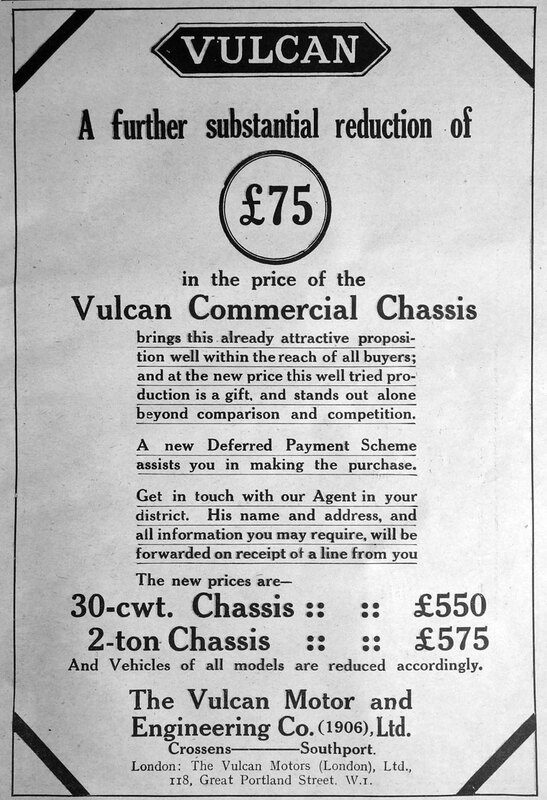 Rootes had their own established commercial makes in Commer and Karrier and both Vulcan and Tilling-Stevens vanished finally in 1953. This page was last edited on 23 April 2018, at 16:24.